Saffiano leather, gold-plated hardware, 11" x 7.6" x 4.7"
While a Saffiano leather Prada handbag is thoroughly embedded in the brand's multi-generational heritage – Mario Prada, who founded the house in 1913, originally used the fabric to create steamer trunks for travelling – its ubiquity equally speaks to the dedicated modernity of the brand's principles. "Innovation involves the whole production process," states Patrizio Bertelli, Prada's CEO, in the 2009 monograph of the brand. "Our way doesn't rely on craftsmanship but on the ability to translate that exquisite craft to an industrial level." Thus, while bags constructed from the fabric are precisely cut and hand-sewn, each taking between eight and fifteen hours to make, they depend on carefully-considered and closely-guarded techniques rather than scarcity to give them their luxury cachet. After all, Prada is a brand whose identity determinedly lies in its cerebral approach to fashion: such an ethos extends into their manufacturing, too. In a practical sense, few luxury fabrics are as durable as the Saffiano leather: its grainy surface is waterproof and scratchproof, it is proudly utilitarian. It is a microcosm of the Prada brand, which has built its renown on refined practicality, on exploring the intricacies of its customer's lives rather than simply ephemeral aesthetics. "To be Prada is to be perfect in every way," says that same 2009 monograph. 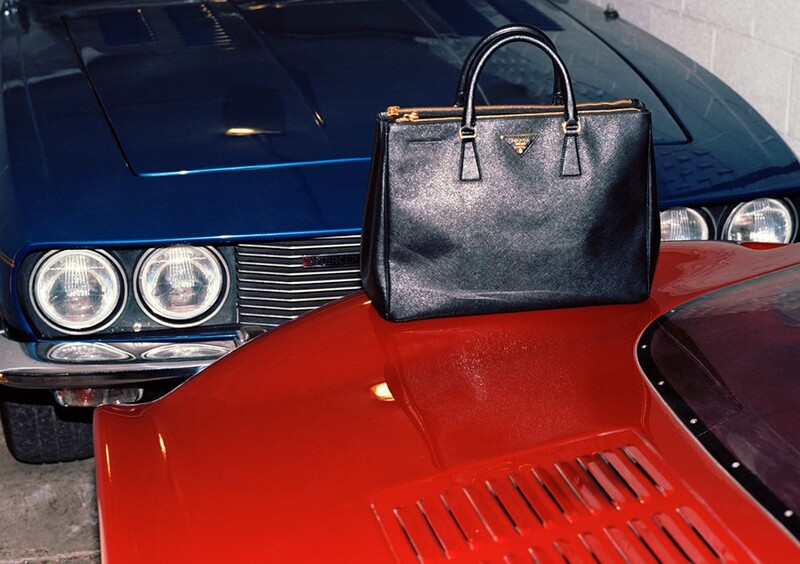 When we take a closer look at the industrial appeal of a Saffiano Galleria handbag, named after the first ever Prada store yet determinedly contemporary in both appearance and production methods, we're inclined to agree.